1. Noize Cruelty Free Winter Coats: NOIZE winter coats are so well made and no detail is overlooked. Their styles for men and women are gorgeous and the quality is phenomenal. They use vegan leather and all their products are PETA approved. What's not to love? Use the promo code tovah for 15% off your order! Visit noizeoriginal.ca to find your perfect coat! 2. Archipelago Scented Candles: Sold at Nicole's Gallery & Boutique, these candles burn for hours and leave the most delicious scent behind. They come in a beautiful wooden box, making it more than just a candle, but a decorative piece for your home. Click here to visit Nicole's Gallery and Boutique. 3. HearBand and TV Streamer: Save a marriage - give this gift to a couple you love. No more yelling at your significant other to turn down the TV or having to listen to UFC, Soccer or Hockey in the background while trying to write a blog post (not that I'm speaking from experience lol). The TV Streamer transmits what you hear on TV to a set of wireless headphones! How cool is that? Click here to visit Lucid Audio. 4. 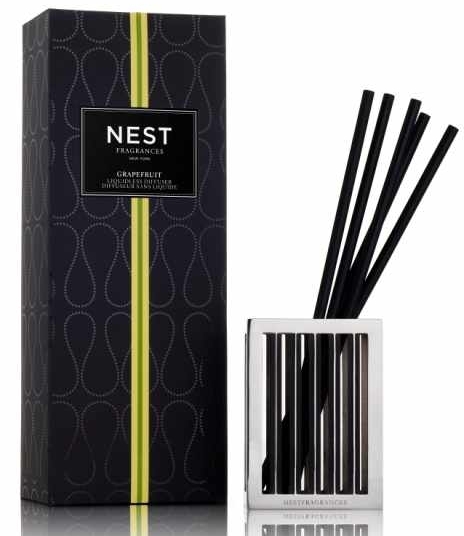 NEST Liquidless Diffuser: It comes with this gorgeous silver holder and scented sticks that are dry! The scent is strong enough to fill an entire floor, but delicate enough to not overpower a room. Click here to shop NEST Fragrances. 5. ACK! the Book: Holidays and parenting can leave a lot of us feeling overwhelmed, tired and discouraged. Give the gift that will help anyone in your life get that motivation back and find ways to cope with stress with ACK! the Book. Made for adults, but with entertaining colorful illustrations, help your loved ones learn how to turn the bad days into good days! They're sure to laugh and totally relate to every page. Click here for your FREE book (while quantities last)!